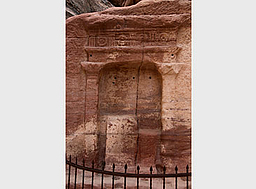 The Siq is the main entrance to the ancient Nabataean city of Petra. 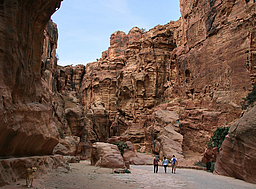 It is a deep gorge, a natural geological fault split apart by tectonic forces, approximately 1.2 km long. 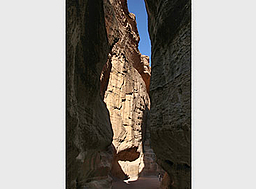 At some points, it is only 3 meters wide, sometimes it widens up giving way to more open spaces. 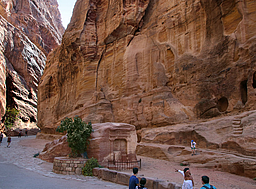 The steep cliffs are up to 80 meters high. 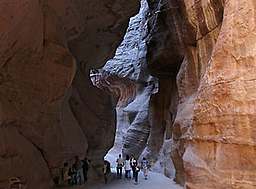 All along the way through the Siq there are ancient rock-cut water channels, with some remains of terracotta pipes, and in some areas, conserved parts of the paved road, originally built by the Nabataeans, probably towards the end of the 1st century BC. 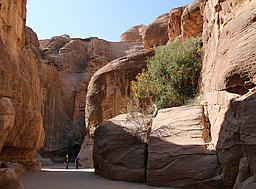 The Siq is not only a passageway, but an attraction on its own sake, worth looking not only upwards to appreciate its impressive rock formations, but also paying attention to the many small items you can see along the way. 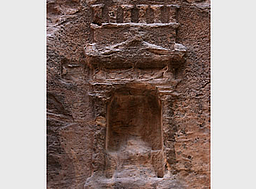 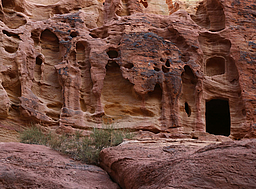 In many parts, there are testimonies of the Nabataean cult, like votive niches and idols, called betyls (from the Aramaic beth-el = house of god), as well as small altars to burn incense. 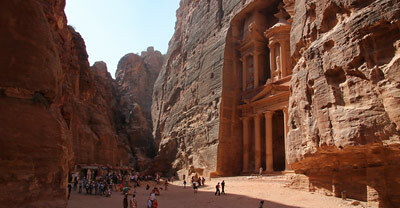 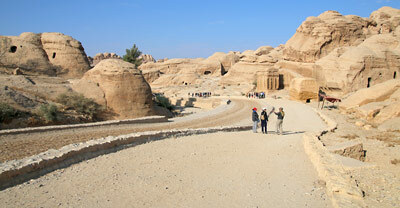 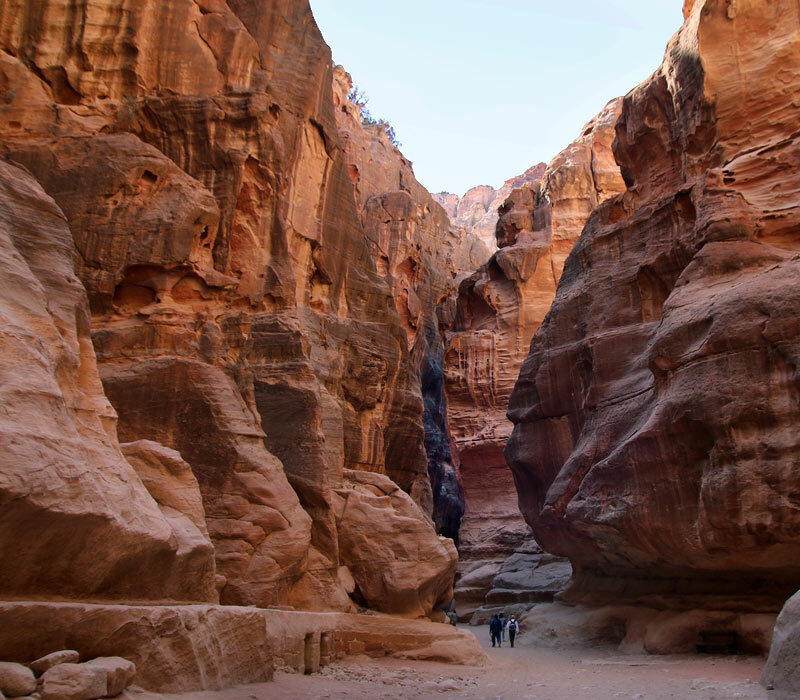 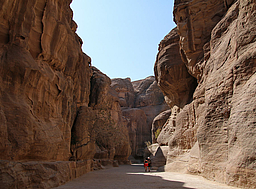 At the very end of the Siq, Petra’s best known attraction starts to appear step by step , the Al-Khazneh (Treasury).